What is a Jelly Roll in quilting terms? A Jelly Roll has forty 2 ½” x 44″ strips of fabric. These forty strips are layered, rolled up tight, and tied with a bow. 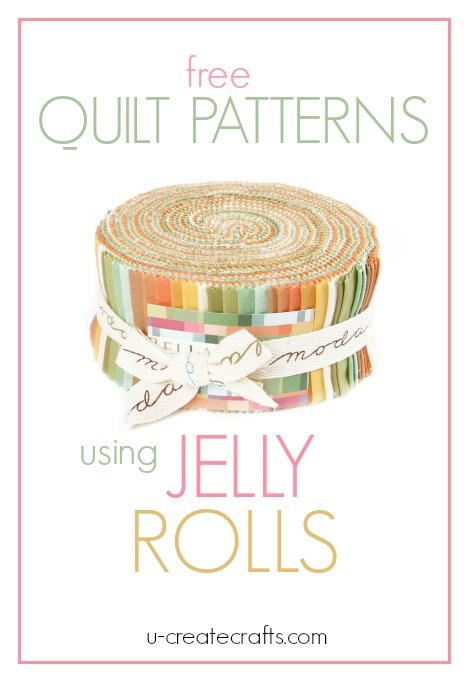 Jelly Rolls are wonderful and save so much time on cutting and coordinating fabrics! 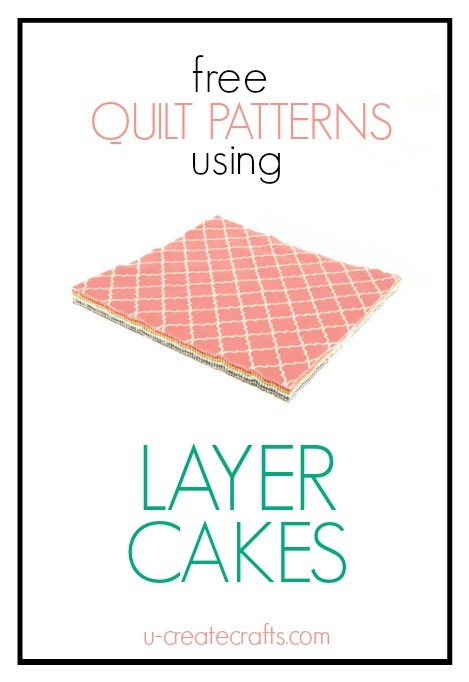 You can pretty much guarantee your quilt will turn out gorgeous when using them! 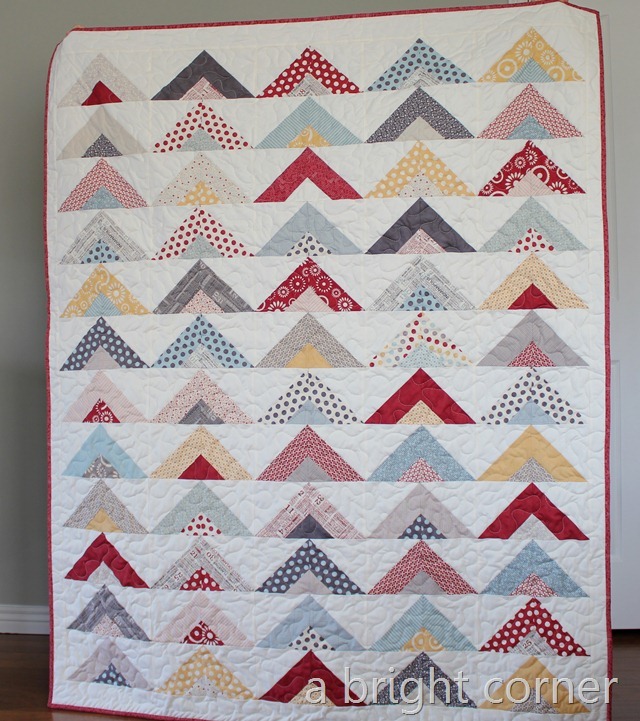 I absolutely love this first quilt with triangles and beautiful fabrics. 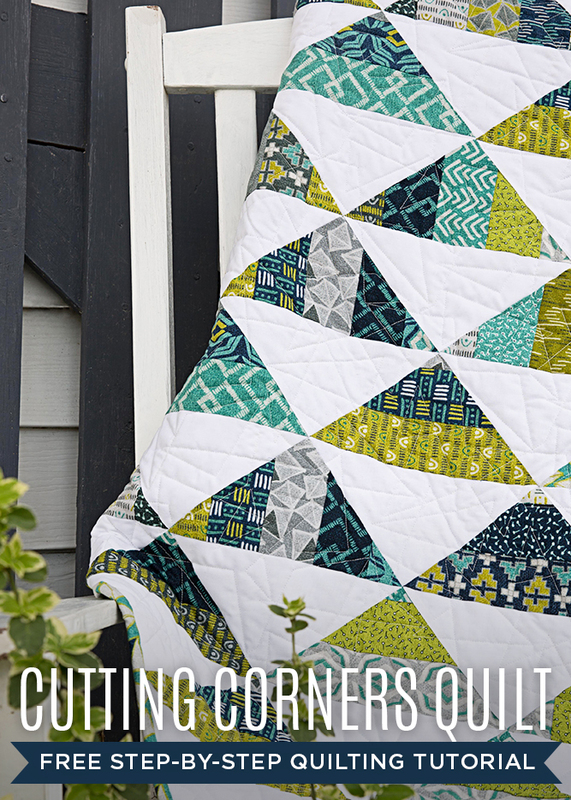 The modern quilting lines are so fun and really add texture to this cutting corners quilt. Next, check out this fabulous granny square quilt. This pattern is easier than you might think it is. 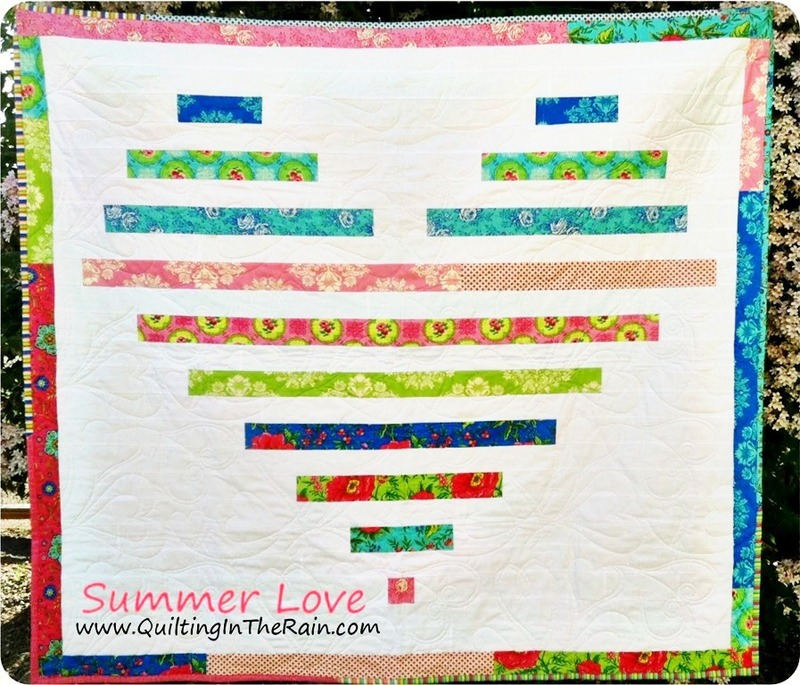 This heart quilt has a fun twist with the broken up strips in between. Mix it up with many different fabrics and you have a completely new look (as with all these patterns!) I think it would be fun to pick traditional pink and red colors for a fun Valentine-themed quilt, too. 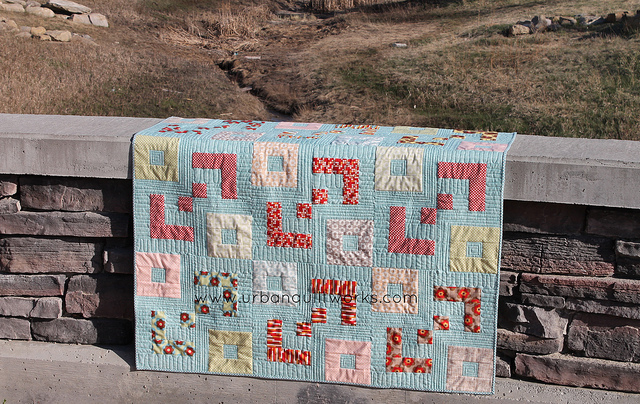 How about a beautiful quilt filled with three blocks within a rectangle? 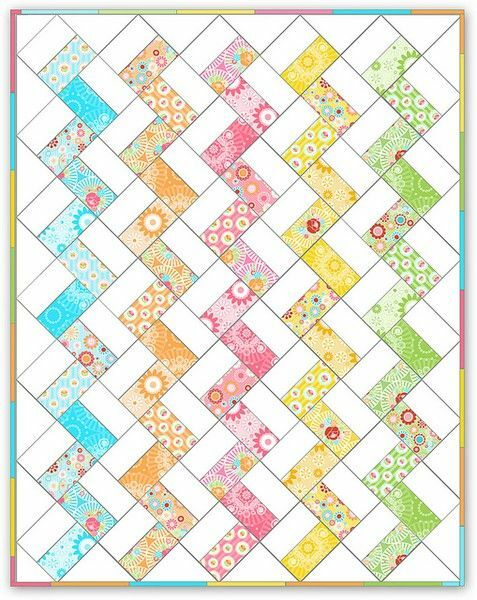 Get “to the point” and cut your jelly roll strips into triangle to make this gorgeous quilt! 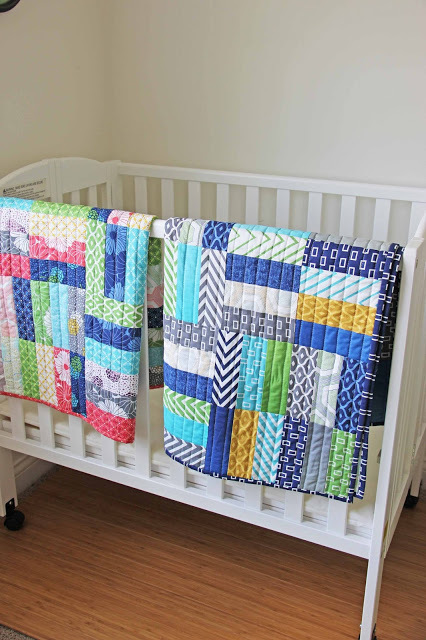 Who loves to create baby quilts? 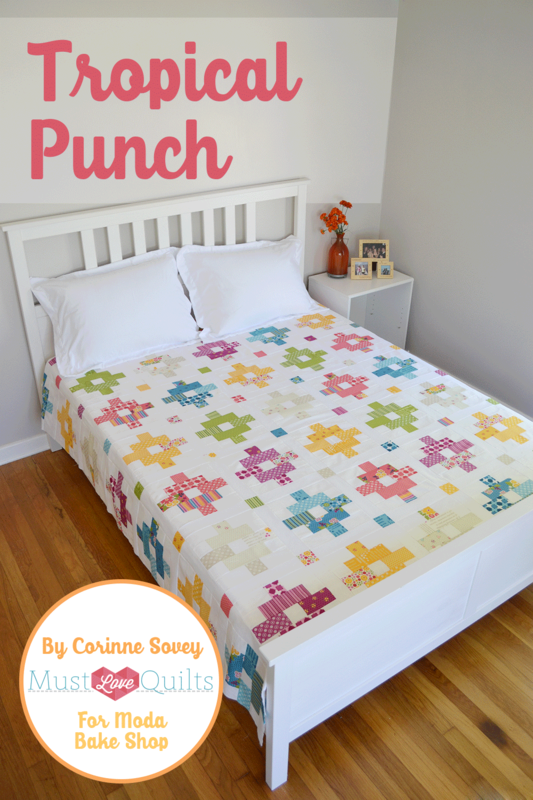 Check out Vanessa’s boy and girl versions of this fun, cute quilt design. What a wonderful gift for baby! 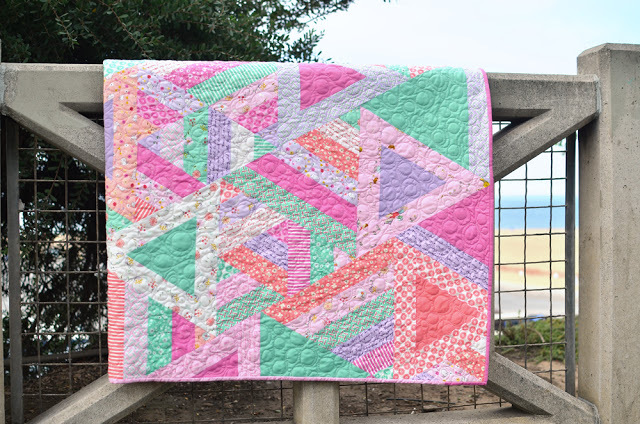 Jelly Roll Jam Quilt Tutorial by V and Co.
You can’t go wrong with a classic chevron or zigzag design. How beautiful are these bright fabrics with the white background? 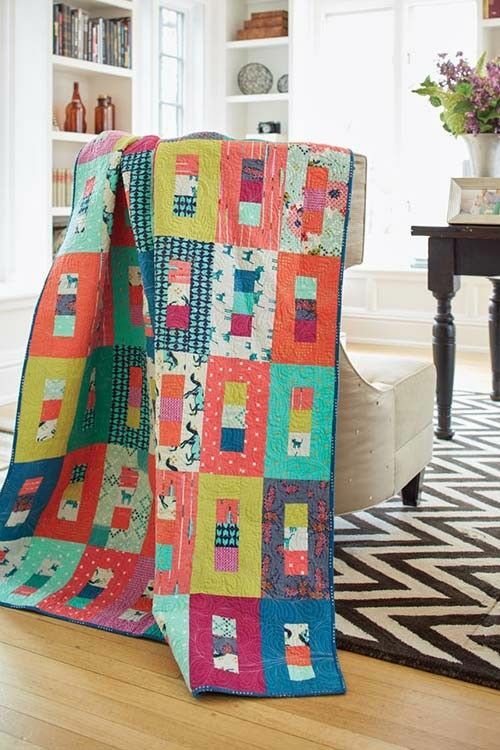 Go with mini modern squares in a variety of rainbow fabrics and create this colorful quilt. 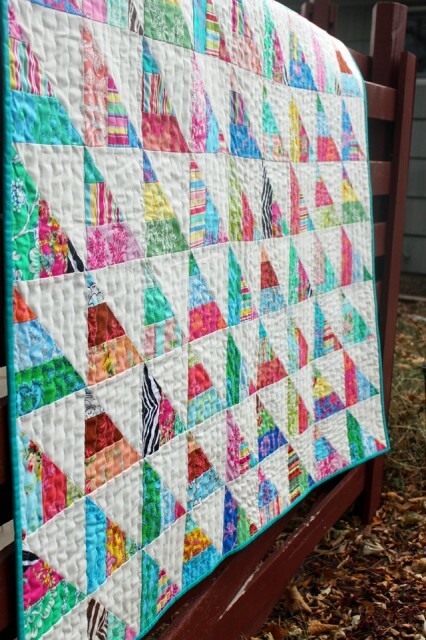 Lay your triangles in a different direction with your favorite jelly roll fabrics. I love the polka dots in many colors! Super cute! 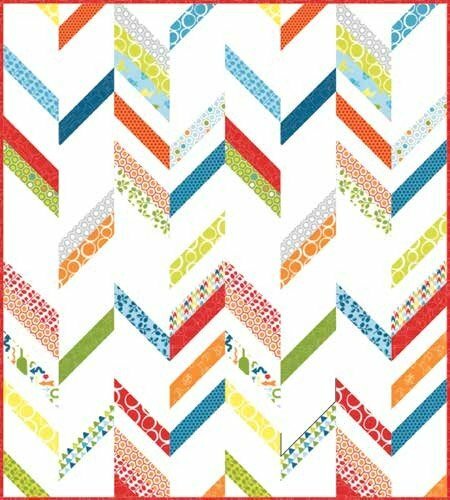 This modern quilt design that also has a chevron feel to it. Beautiful! 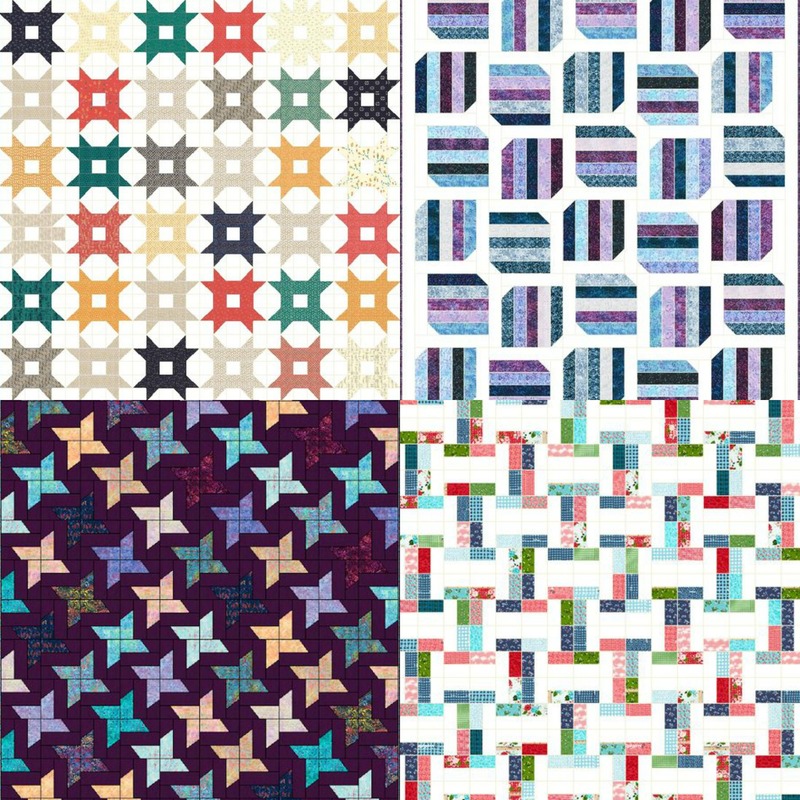 This next quilt is all about triangles. Striped triangles, different sized ones, and triangles within triangles! Did I say “triangles” enough? Quilt this open and closed box quilt using strips. What a fun, unique pattern! 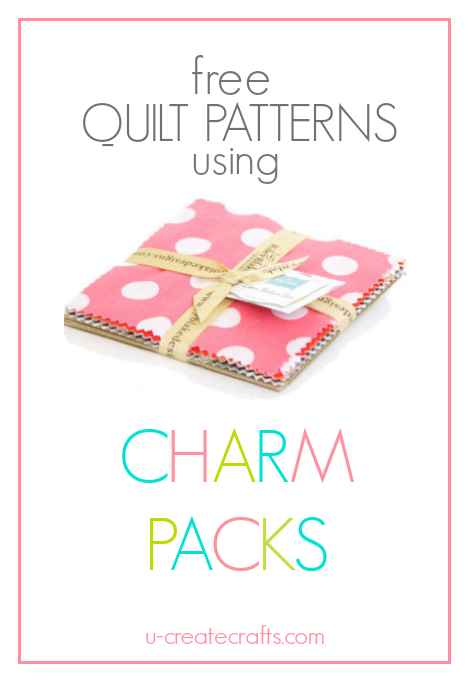 Head on over to Lets Quilt Something for these four, fabulous tutorials! 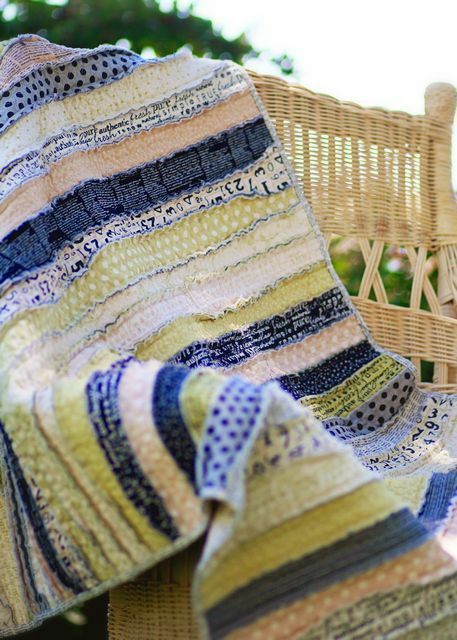 Who else is in love with the “spool looking” quilt? On a “scale” from one to ten, I’d give this a 10! 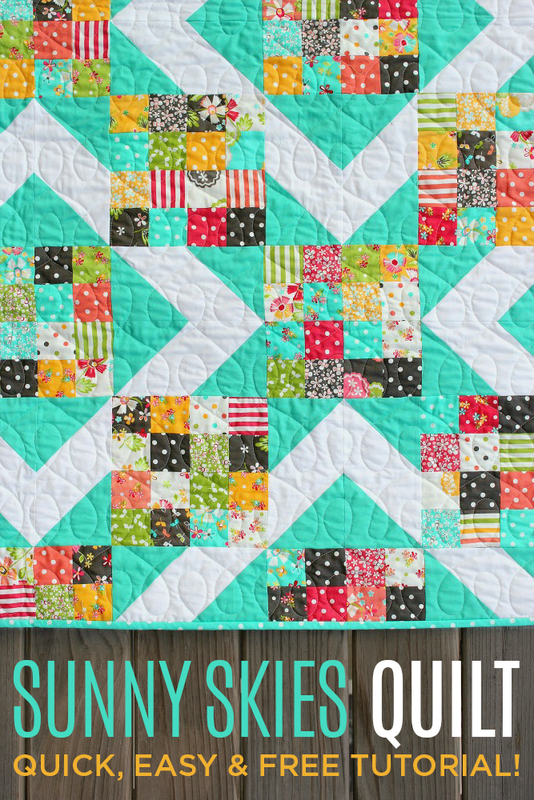 See how beautiful these quilts turn out when they are coordinated for you in a jelly roll? 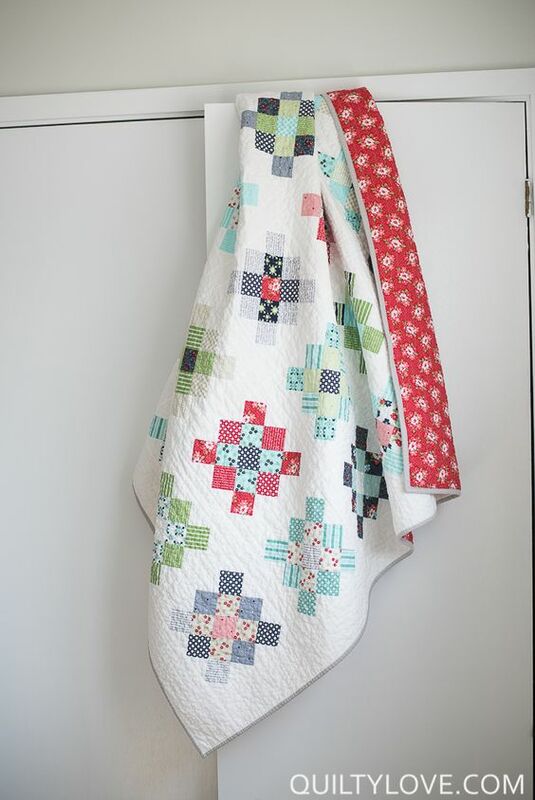 Even though this quilt doesn’t look “quick & easy”, once you dive in and start piecing it together you’ll have it done in no time. I love quilts that look harder than they actually are! Create this clean, classic design that would be great for any room! 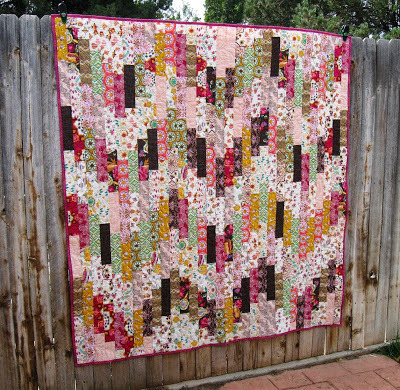 …and last but certainly not least, learn how to make a fabulous rag strip quilt using a jelly roll. Those raw edges add so much character! The toughest part is choosing which quilt to start with! I hope you’ve been inspired to get out your jelly rolls and create a beautiful jelly roll quilt. 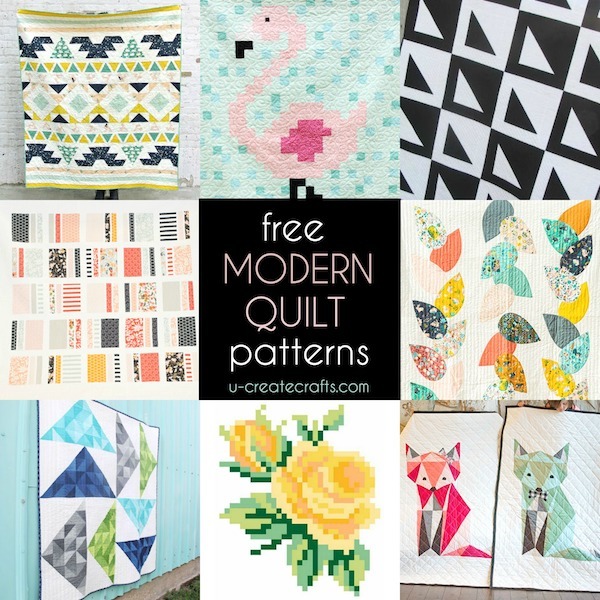 Are you a fan of modern quilts? 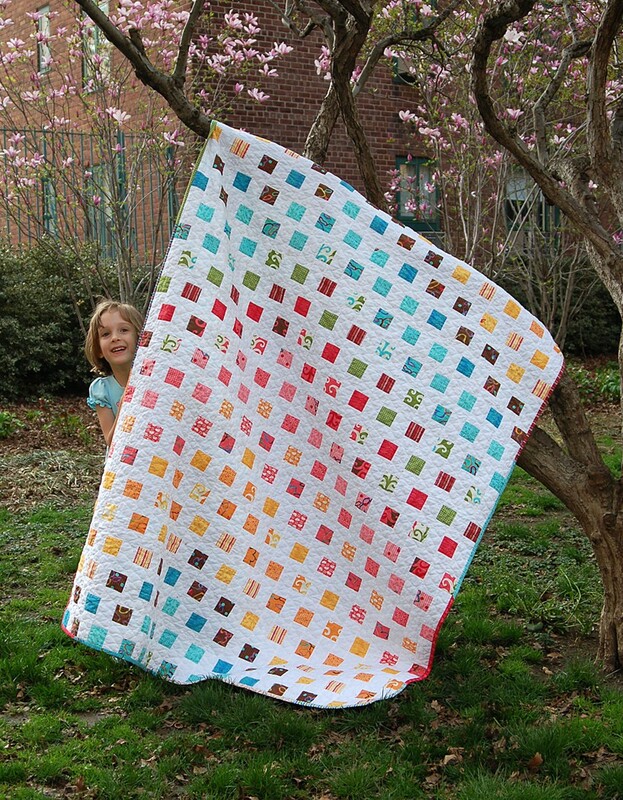 this will be my first attempt quilting, need to start with simple projects and this looks like the place to begin. Love to quilt and jelly rolls are my favourite way to quilt.